Pete is a cool cat and a New York Times bestseller. Kids love the rhythmic storytelling and fun repetition of his adventures. 100% cotton PJs are printed all over with Petes. 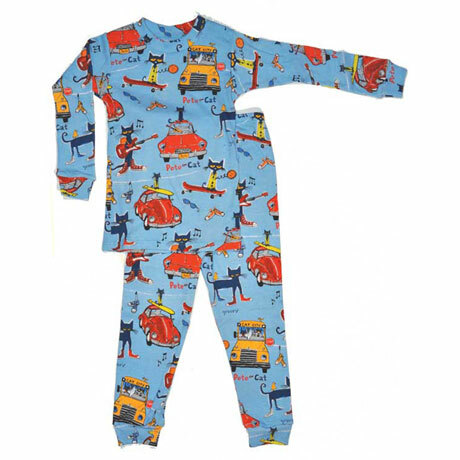 Sizes 2T, 3T, 4T, 5, 6. 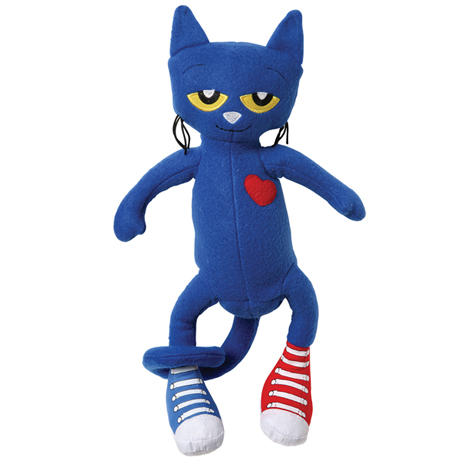 Plush Pete wears different-colored sneakers: one strawberry, one blueberry. 14½" high. Ages 3 and up. 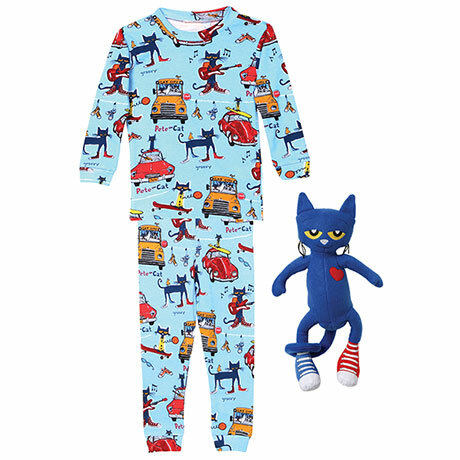 Pet the Cat gift set includes PJ's and matching plush.